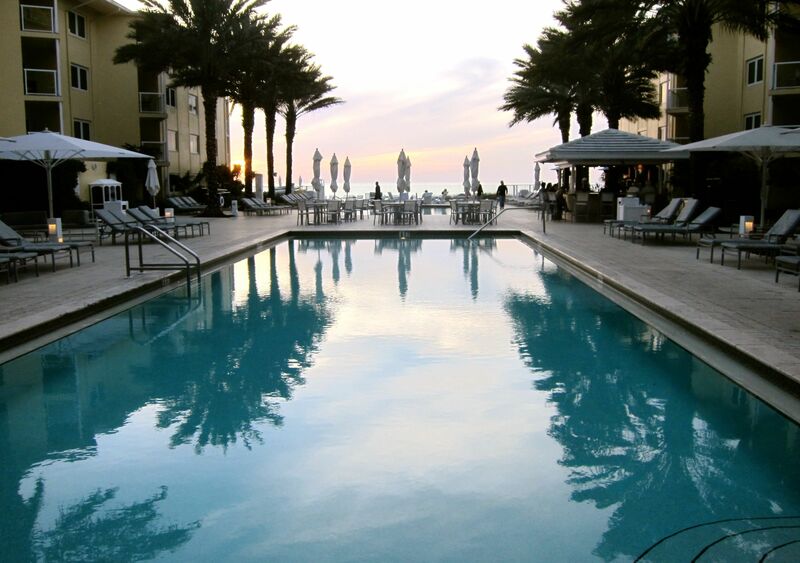 Pool at Edgewater Beach Hotel in Naples, Florida. Naples' Pier is part of the city's charm. 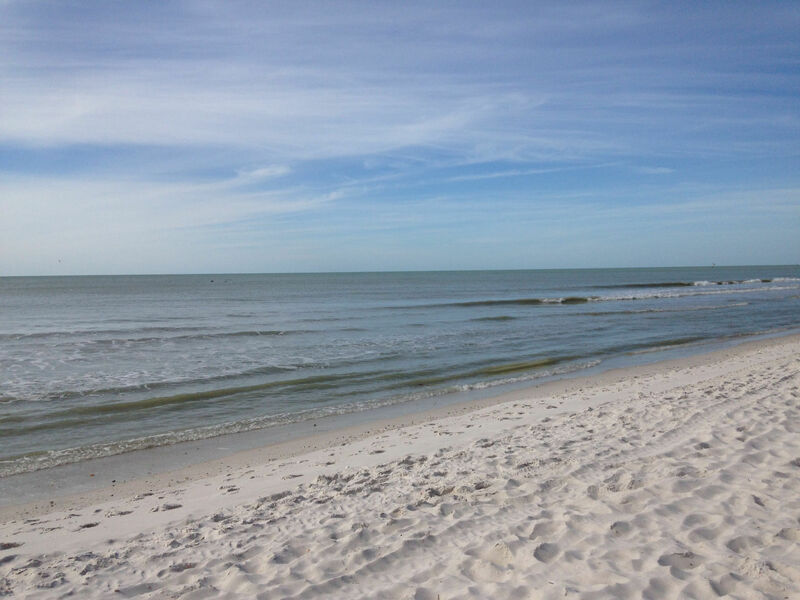 This empty beach is typical of Naples' Gulf Coast shoreline. Alligators can be seen when you stop and slow down in the Everglades. 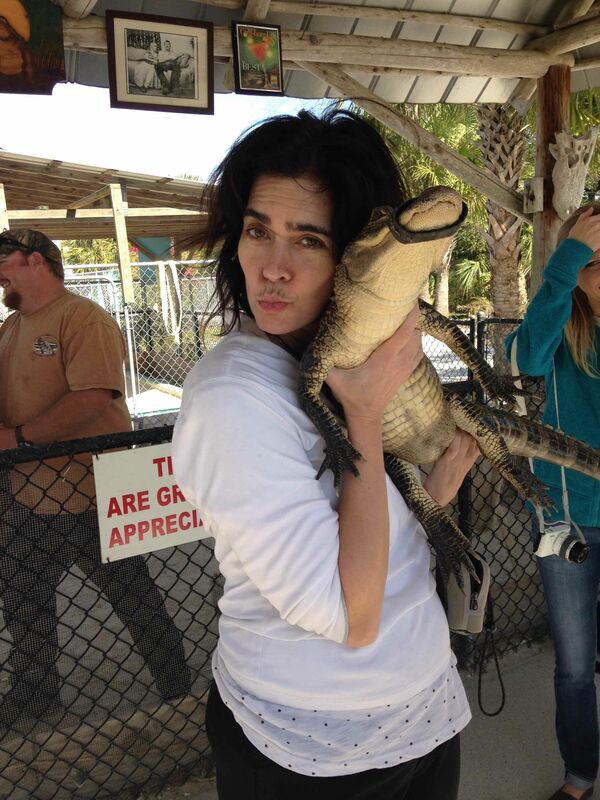 Alligator Love from the author in the Everglades. 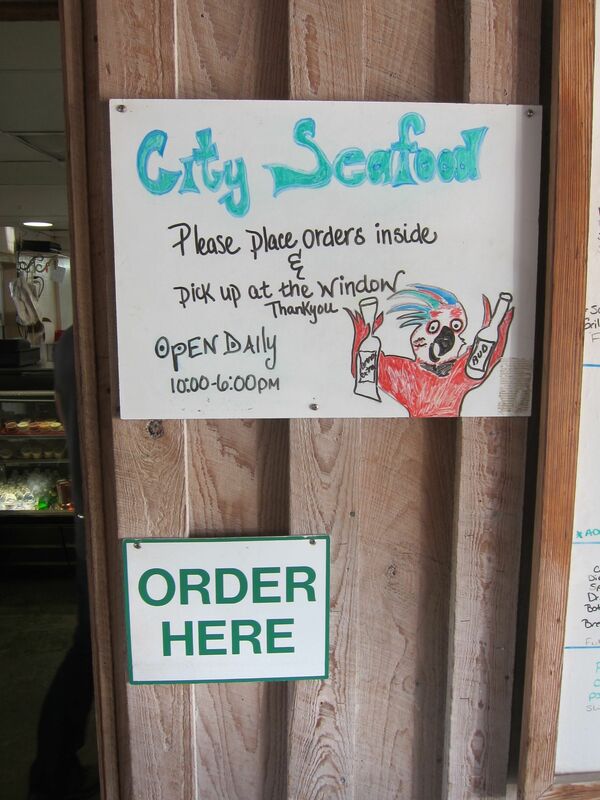 In Everglades City, the casual City Seafood is a real treat. Big Cypress Bend Boardwalk is fun to explore. Our top ten activities in Naples and Everglades City represent the yin and yang of family vacations, so why not embrace variety and enjoy a taste of both cities on Florida’s Gulf Coast. Naples is the shining star of the so-called Paradise Coast, a classic upscale resort town with calm Gulf of Mexico waters and clean beaches. Many retirees call Naples home, so grandparents will find lots of company if they choose to bring the grandkids. Add a fine dining scene to the mix and it’s no wonder a well-heeled crowd frequents this town. Before you think Paradise Coast is a destination exclusively for millionaires, a short drive brings you to an entirely different world. Rustic Everglades City is the gateway to the otherworldly beauty of the Everglades. A treasure-trove of tropical plants, mangrove and cypress swamps, the “river of grass” is the only place in the world where alligators and crocodiles cohabitate. The Gulf Coast Visitor Center entrance to Everglades National Park charges no fee, so a visit won’t cost a dime. 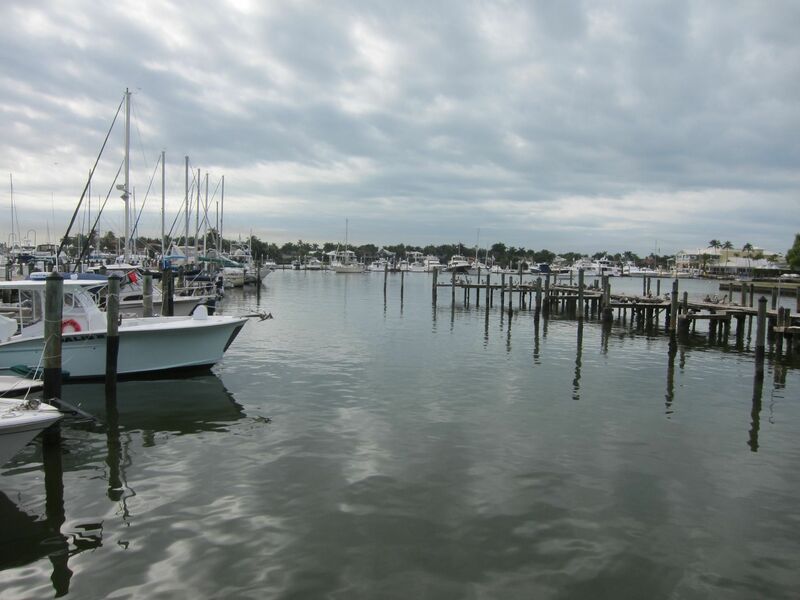 Foodie families take note, Everglades City offers unbeatable seafood served in casual waterfront settings. 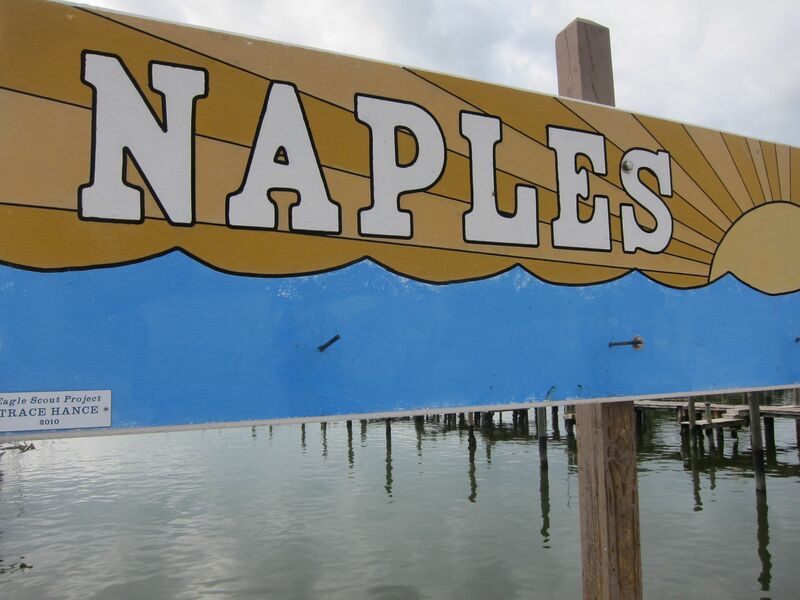 Imagine a “Tale of Two Cities.” Picture “Upstairs, Downstairs.” Naples and Everglades City are only about a half-hour drive apart, so your family can easily visit both. Here are our top five family activities in each destination, giving you our top ten fun memories to bring home. Recreational possibilities in the city of Naples include pedaling the flat bike paths, tennis, golf and building sand castles in the sunshine — and there’s more. You’ll have your pick of fine sandy stretches in Naples, including beaches that will please seekers of seclusion. 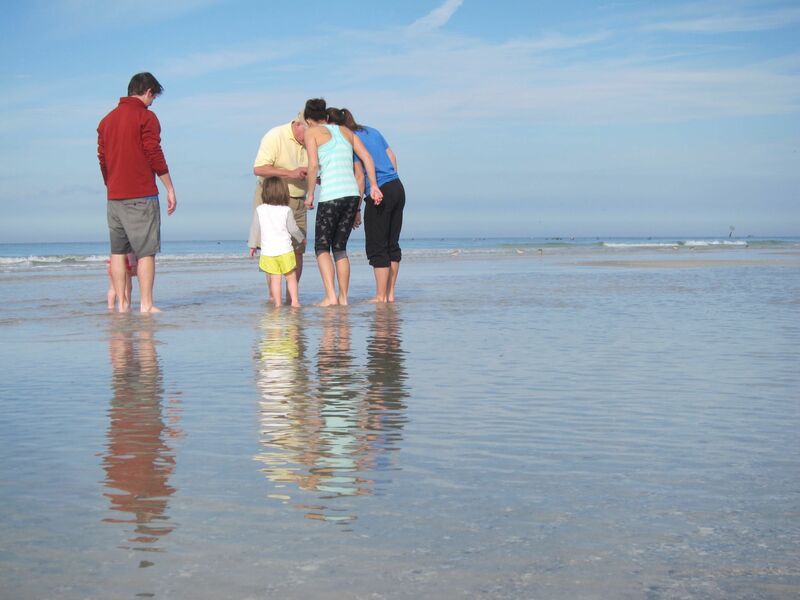 Families flock to Vanderbilt Beach Park to enjoy its great shelling and bird watching. It’s handicap accessible and there’s a concession stand with beach equipment rentals and snacks. Clam Pass Park is another popular choice. Stroll the boardwalk and enjoy a shady picnic. If you like fishing, you’ll need no license to try your luck at the Naples Beach and Fishing Pier. There’s bait for sale, and you can fish 24 hours a day, in case the midnight urge strikes. Hands-on play is taken seriously at this 30,000-squarefoot space. The museum is fully accessible regardless of physical or learning abilities. Children may climb a 45-foot banyan tree, journey through a swamp and romp around a tiny construction site. Daily and weekly programs touch on science, music, history and more. Feed a giraffe, cruise around an island inhabited by monkeys and watch an alligator eat lunch at the first-rate Naples Zoo at Caribbean Gardens. New zoo residents include two sleek serval cats that are drawing big crowds. A few miles away is Naples Botanical Garden and Smith Children’s Garden, a Sunshine State gem that includes nine cultivated gardens that are a floral wonderland.Explore the butterfly house, or just stroll the 170 acres and enjoy the glorious landscape. Is there a kid who doesn’t like water slides, multiple pools and one million gallons of splashy water fun? This waterpark is the place to cool down in Naples. The Minnesota Twins and the Boston Red Sox spring training camps are only minutes from Naples, near the Southwest Florida Airport. Baseball fans big and small can enjoy a pre-season game in February and March. 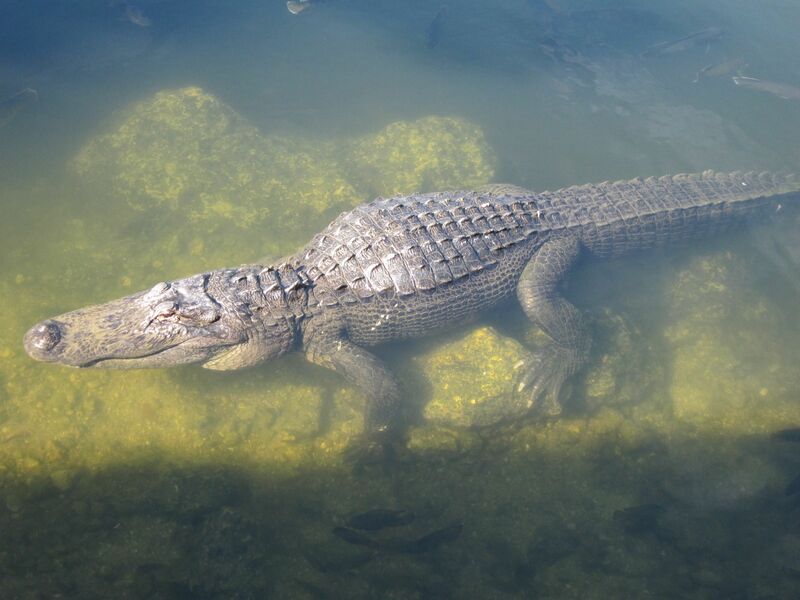 The Everglades is a must for lovers of the great outdoors. Everglades City is the western gateway to the Everglades National Park, but the massive Everglades eco-system includes over a 1.5 million acres of land, making it the largest subtropical wilderness in the U.S.
Wooten’s Everglades Airboat Tours offers a 35-minute boat ride that glides across 250 acres of private Everglades grassland. When the ride is over, you can cuddle with a baby alligator under the watchful eye of an animal trainer. The employees looks straight out of an episode of Duck Dynasty, but don’t be put off; our savvy captain helped us spot alligators and colorful birds. The shallow-draft airboat’s motor is noisy, but they provide headsets to dim the ruckus. Some environmentalists fear these crafts may disrupt the fragile web of underwater flora, so consider doing some advance research. Adventurous families should consider a kayak trip. It’s an excellent way to spy native flora and fauna in an unobtrusive manner. Everglades Kayak Company offers kayak rentals and guided tours. The half-day guided trip is an easy three-hour, three-mile paddle through the flat-water river. Located within Fakahatchee Strand Preserve State Park, this flat boardwalk is an easy 1.2-mile walk with a big payoff. 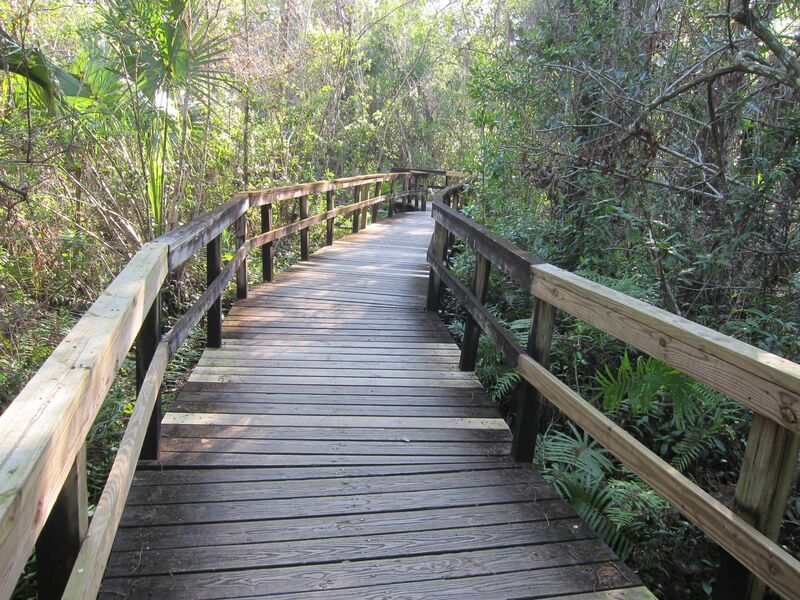 You’ll see plenty of wildlife, stately royal palms, towering cypresses and orchids from the comfort of the boardwalk. There’s plenty of poison ivy too, so look but don’t touch is the rule. The Gulf Coast Visitor Center of Everglades National Park offers an array of ranger-led programs from December-April. Nature talks, guided walks and canoe trips are just a few of the free scheduled events. Maybe you’ve come just to eat? Stone crab is a coveted delicacy, in season from mid-October until mid-May. The sweet, firm meat tastes similar to lobster. Everglades City is billed as the Stone Crab Capital of the World and no one does it better than City Seafood. Wait on line to place your order and claim a picnic table. While your meal is being cooked to order, you’ll spot pelicans, seagulls, manatees and alligators frolicking in the Barron River. Convivial owner Richard has his own fleet of fishing and crabbing boats, so freshness is assured. Other tasty options include fried shrimp, lightly coated in a delicate cornmeal batter, so the taste of the sweet crustacean shines through. Key Lime pie is a delicious way to end your meal and your visit to the Everglades. You’ll want to rent a car, but you may not need it daily. Naples has embraced the Segway in a big way. It’s an amusing way to play tourist when you’re traveling with teens. You stand on the sturdy platform of the individual two-wheeled vehicle and control it by shifting your weight, no special skill required. Segway of Naples offers three daily scheduled tours of the historic downtown for those at least 14 years of age. If you’ve got younger children, the hop-on/hop-off Naples Trolley Tours is a fun way to sightsee. Naples Dining: Naples is a bona fide culinary hot spot. There’s a slew of fine dining options that cater to tiny gastronomes. Sea Salt is an ultra-glamorous eatery that showcases the cooking prowess of Venetian-born owner chef Fabrizio Aielli. In spite of its swank, a children’s menu allows epicurean families to dine together in style. While adults feast on sustainable seafood, the junior crowd may enjoy a Kobe cheeseburger, organic chicken fingers, salmon or penne pasta. Where to Stay in Naples: Edgewater Beach Hotel is a dream for families seeking an oceanfront location. The vibe here is the definition of barefoot elegance. Each of the 125 suites has a full-sized kitchen, living room and separate bedroom, so large and multi-generational families will have plenty of space. There are two heated swimming pools, a restaurant and poolside bar. They offer a complimentary shuttle that will whisk you anywhere in town. Where to Stay in Everglades City: Exploring the Everglades is an easy day trip from Naples, but if you prefer to stay the night, the Everglades City Motel’s renovated rooms offer flat screen television, microwave, complimentary bicycles and Wi-Fi. How to get here: Southwest Florida International Airport in Fort Myers is 30-minute drive to Naples and an hour to Everglades City. It’s served by 17 different airlines with nonstop flights to 45 destinations. For more helpful trip planning information, go to the Paradise Coast tourism site.